Using Hive's external users, you can invite individuals to collaborate on a single project. 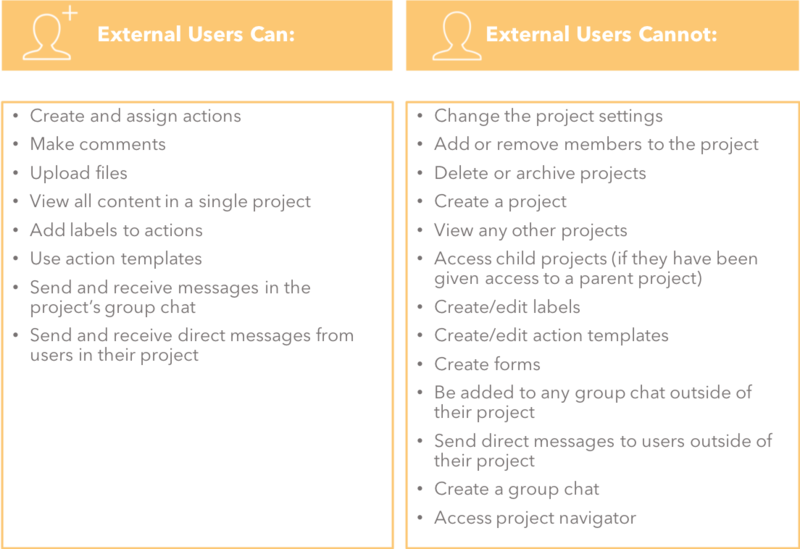 External users are limited to the actions and messages within the assigned project and do not have access to your entire workspace. 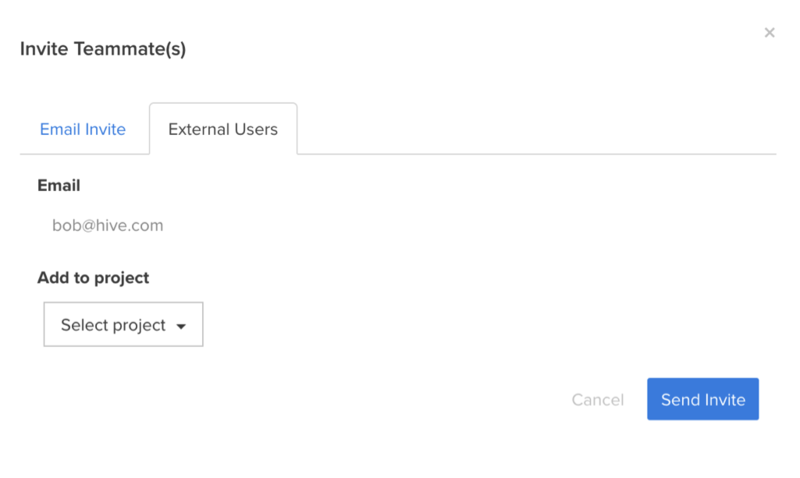 What permissions do external users have? If an individual needs to access multiple projects, or needs to remove these limitations, you will need to add the individual as a standard user in your subscription. The Invite Teammate(s) window will open. There will be a tab that says "External Users." 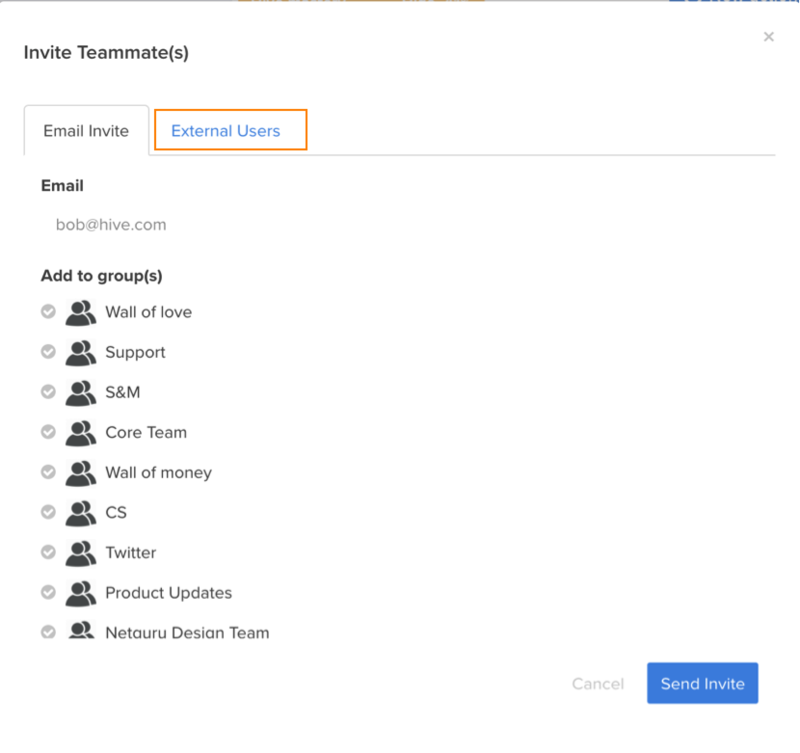 Add the email of the person you want to invite and select the project you want to add them to. After you click send invite, they will now have access to the project you selected. Scroll down, hover over the external user you want to remove, and select "Remove user." Note: Only workspace team members with the permission to add or remove standard users will have the option to add/remove external users.